ITV news presenter Charlene White has decided not to wear a poppy on air in support of the British armed services, but insists she’s not racist or anti-British and that she appreciates the work the armed services do. It’s simply her choice to recognize certain charities and to not recognize others; at least that’s what I gathered from her post about the subject this morning. When someone makes a decision to support a charity or not, who are we to judge that person? I think she has the choice; it’s up to her. How about you? 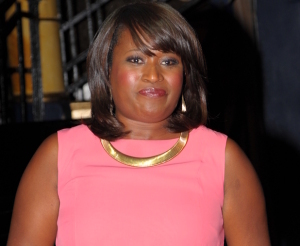 ITV News’ Charlene White has explained why she won’t wear a poppy on air. The presenter opened up about her decision over the weekend in a lengthy post. While White said she supports a number of charities, she does not favour one over the other on air. “It is a subject that provokes a lot of debate and anger – but it is one that I feel strongly about,” she added. White explained that when she isn’t on camera, she supports a number of charities such as the British Legion. The news presenter also respects her fellow presenters who choose to wear a poppy on air. Her decision not to wear a poppy has attracted a slew of both racist and sexist comments. I wear a poppy on Armistice Day, in fact I wear one that my friend’s mum knitted for me a few years ago. And I’ve also bought one of those incredible ceramic poppies which can currently be seen at the Tower Of London. And every year I donate to the British Legion. Money which the charity desperately needs for the work that they do to support serving and ex-service men and women and their families. So please don’t think that I don’t support the work that our service personnel do, or that I don’t understand the sacrifices made by servicemen and women 100 years ago. I do. I come from a Forces family. My Dad served in the RAF, and my uncle served in the Army. I spoke to them both six years ago when I first decided not to wear a poppy, and they both support my decision. But I don’t expect everyone to support it. If Charlene White doesn’t want to wear a poppy on the air, that’s completely up to her in my estimation. The greatest benefit of freedom is the right to make choices such as these regardless of the desires or criticisms of others. If we are all made to conform to what other people want regardless of our own feelings and opinions, we lose that freedom so many have fought and died to achieve. Freedom has to be upheld above opinions, racist slander and empty accusations. Charlene, it’s your right and we judge not.